Our citizenship fairs are designed to be a “one-stop” workshop for legal permanent residents interested in become U.S. citizens. At a citizenship fair, residents can obtain information about the naturalization process, receive assistance with the N-400 application, and have a brief legal consultation with an attorney. List of addresses where you have worked and lived during the past five years. Children information: Names, Dates of Birth and Addresses of all your children, whether they live in the U.S or not. Meet one on one with clients to determine eligibility for naturalization, answer questions, review applications for accuracy, and provide further instructions for follow up or filing. Please note that you will not be asked to actually represent anyone and will not be asked to sign on as counsel. Meet one on one with legal permanent residents to help them complete their citizenship application (N-400). No previous experience is needed, but this could be a great opportunity for law students or anybody looking to gain experience in the naturalization process. You do not need to speak a foreign language, although some of our clients have limited English proficiency. Translate between clients, attorneys, and application assistants. Ensure that those applying for citizenship understand the requirements, forms, and all documents needed for naturalization. Interpreters of all languages are welcome, especially those with Spanish, French, Chinese, Korean, Amharic, and Vietnamese. Ensure the smooth operation of the citizenship fair. Help with registration, pre-application screening, copying and assembling documents, and passing out information. 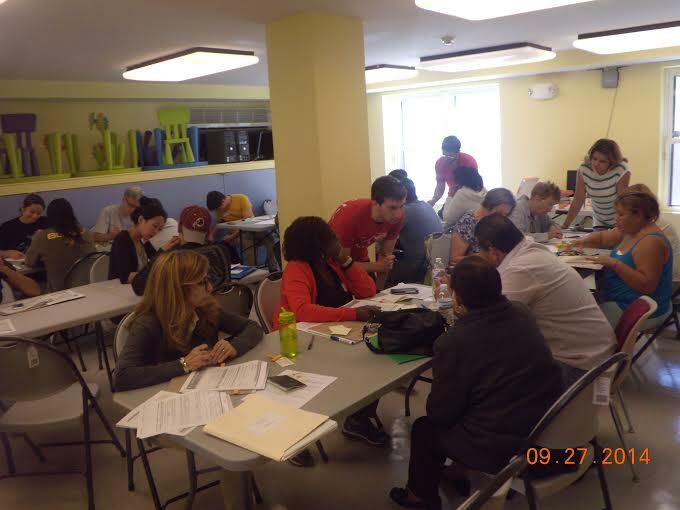 These volunteers are vital to making sure that the Citizenship Fair successfully assists legal permanent residents apply for U.S. Citizenship. Interested in volunteering? Please contact Program Coordinators Molly Gavin or Juan Carlos Navarrete.